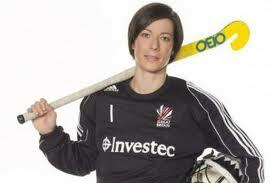 ← London 2012: Great Britain Ladies Squad Part 1. London 2012: Great Britain Ladies Squad, Part 2. Beth Storry. Club: Reading. Age: 32. With Argentina’s Belen Succi missing the Olympics due to falling pregnant, Storry can justifiably claim to be the best goalkeeper in the competition. The 32-year-old Reading star won the Goalkeeper of the Tournament award at the 2010 World Cup and has continued to churn out a series of excellent performances since then. Her 7 years in Holland’s Hoofdklasse, her 105 international caps, as well as her Beijing Olympic experience will make Storry a vital component in the side. Her selection also comes off the back of keeping four clean sheets in the Visa Invitational Tournament. It is not often Great Britain can say they have the best in the world at something, in this case, they do. Sarah Thomas. Club: None. Age: 31. The pride of Merthyr and Wales’ only representative in the squad. This star of the Cadbury’s advert is a superb attacking force. Her strength on the ball and her lightning pace make her a very difficult proposition for any defender to deal with. 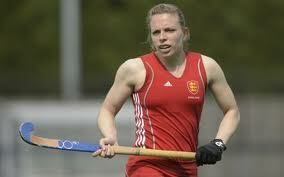 She is currently not attached to a club, choosing instead to devote her focus to her Olympic training. 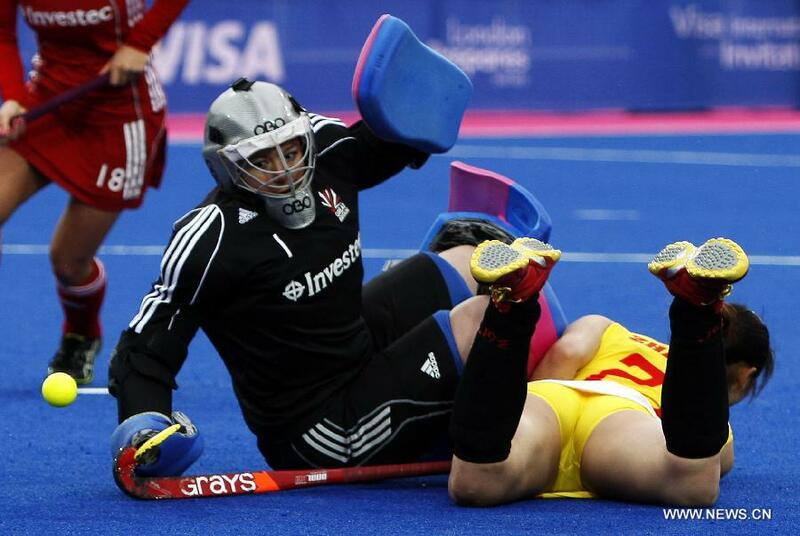 Thomas has played in Holland, like her team mates Danson and Storry and has also competed in the Olympics, Commonwealth Games and the Champions Trophy, with 58 caps, she is no stranger to the big occasion. Georgie Twigg. Club: Clifton. Age: 21. The youngest member of the squad and an exciting talent too, the 21-year-old already has a World Cup Bronze medal to her name and a Champions Trophy Silver. You wouldn’t bet against her adding to her already impressive medal haul over the coming years. An energetic midfielder with an eye for a pass and the skills to link the play between defence and attack, Twigg has already become an impressive presence at international level, despite her tender years. Laura Unsworth. Club: Loughborough Students. Age: 24. One of the more superstitious members of the team, the diminutive Unsworth impressed greatly at the recent Visa Invitational. A superb defender who is equally at home in a traditional back four as she is providing a screen just in front. Her great talent lies in how comfortable on the ball she is, and her excellent distribution. Seemingly unflustered by the attentions of players around her, her calmness under pressure will stand the 24-year-old in good stead in the cauldron of noise that the Riverbank Arena will become. Like many of the group, she is no stranger to winning medals, including 5 bronzes and a silver at international level. She would obviously love to upgrade one of those to gold, this summer. Kate Walsh. Club: Reading. Age: 32. Captain Fantastic. A superb leader on, and off the pitch and one half of a formidable defensive pairing with the excellent Crista Cullen. Kate Walsh is going into her third Olympic games and her 23rd international tournament. The phrase “been there and done it” has never been more appropriate. A superb one-on-one defender and an excellent threat at penalty corners it seems there is very little Walsh can’t do. Her team mates look to her when things get tough and her ability to lead by example seldom disappoints. 287 international appearances, 40 goals and a glut of international medals. If anyone is more qualified to lead a gold medal charge, I would like to meet them. Sally Walton. Club: Bowdon Hightown. Age: 27. Another in the squad with a wealth of international experience, Walton has over 120 caps to her name and for a defender has chipped in with her share of goals, scoring 19 in total. Walton is a calm and accomplished defender who rarely looks like she is not in control of a situation. The mark of a good defender is someone who does the simple things well, Walton does more than that, which is why she has been a fixture in the side since her debut in 2005. Competing with the likes of Walsh, Cullen et al for a starting berth shows the depth of quality this side has. Nicola White. Club: Slough. Age: 24. Another youthful player with a lot of talent. White’s domestic side, Slough struggled this year in the league, in part due to the absence of White and her team mate Ashleigh Ball. She only made her international debut in 2009, but her pace on the ball and her willingness to work for the team have led to her building up 27 Great Britain caps, and 44 England caps. She is a talented and skilful attacker whose style compliments her team mates’ well. Expect to see her creating havoc in the final third whenever she has even the smallest of spaces to run into. Natalie Seymour. Club: Canterbury. Age: 24. Seymour is a little unlucky to miss out. It is more a reflection of the huge talent of others rather than a lack of talent on her part that sees her as a reserve. She has an air of calm about her which belies her young age. Her defending is excellent and her distribution is also very good. If the call comes, she is more than capable of answering it. An undoubted example of the plethora of superb players available to Danny Kerry. Abigail Walker. Club: Canterbury. Age: 30. Superwoman. A surgeon in her day-to-day life and an excellent goalkeeper the rest of the time. As with Seymour, Walker’s inclusion as a reserve and not a member of the starting XI owes more to the ability of her rival than anything else. She would walk into more or less any other team in the world, such is her quality. Should the unthinkable happen, she will be a more than adequate replacement for Beth Storry. With those two, the goalkeeping duties are in the safest of hands. The Top of the D would like to wish the Great Britain Team all the very best in the London Cup, in June, and of course in the Olympics themselves. This entry was posted in Features, London 2012 Women. Bookmark the permalink.